The darkness and how dense the map is makes the map scary to begin with, never mind when Michael Myers is chasing after you! The aim of the game is to have one person as Michael Myers, or the chaser! The map is compatible with most other mods and maps, and it can currently be installed for Minecraft PS3/PS4. There is no real way to ‘use’ the Michael Myers Scary Map. You first of all need to download the map. This is done a little differently on consoles and involves transferring the files over with a USB stick. Then, gather up as many friends as you can and invite them into your game. There are currently no public video showcases showing all of the features of the Michael Myers Scary Map. The Michael Myers Scary Map is a dark and dense map full of surprises. Takes place on a small to medium sized map that can contain up to four players. The Michael Myers game is a universal game type and is played over almost ever pov game on every console. 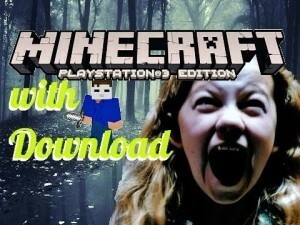 Available for the Minecraft download on PS3 and PS4. To install the Michael Myers Scary Map you need to first of all download it by clicking on the download link below this article. There are currently no public changelogs for the Michael Myers Scary Map.